Tinazzi, located near Lake Garda began in the 1960s and expanded to Puglia in 2001. In 1986, the Tinazzi family purchased Tenuta Valleselle from the Carnaidolesi order of monks. It is set in the hills near Lake Garda, close to Bardolino. Valleselle is 30 acres with vineyards and olive trees. Tenuta Valleselle is Tinazzi’s location that is dedicated to wine and food culture. It offers guided tours of the vineyard, wine tasting tours and cooking classes. Well-known chefs teach participants about the preparation of traditional dishes, using Tinazzi wines to pair with the dish and sample while cooking. The founders, Eugenio Tinazzi and son, Gian Andrea, have both vision and an entrepreneurial spirit. 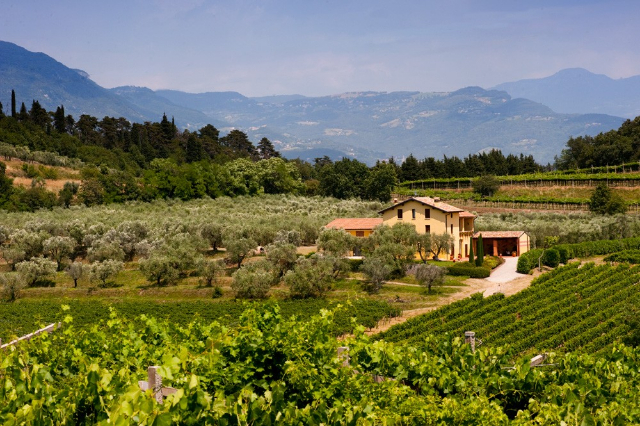 Success has come easily with the two vineyards in Italy and addition of the cooking school. The children, Francesca and Giorgio, now adults of Gian Andrea’s family, help supervise the family business. With the purchase of Feudo Croce, a 160 acre estate in Puglia, all family members focus on Tinazzi’s continued recognition as one of the leading, award winning producers of Primitivo. A new project is in the works. The family has started to restore an old farmhouse, ‘Ca’ de’ Rocchi’, which is in the pipeline as their center for accommodation. It will hav guest rooms for tourists and trade who plan to take part inumerous options in Tinazzi, the Veneto and Puglia. The Tinazzi family, in its third generation, always chooses the longest and safest routes in its growth process, They discuss that there are no shortcuts and pride their success to honesty and respect for everyone involved. Italian cooking classes are peaking in popularity worldwide. Who can resist the Italian menu? Thanks to the insight of Luca Ventrelli, Tinazzi’s all around wine promoter, our group was given the opportunity to learn how to make pasta by hand. How hard could it be to make dough from two eggs, flour, oil, salt and pepper? We were taught by a chef, how to mold the dough by adding the eggs, pound it into a round, tight, ball and then feed it into a pasta machine over and over until its consistency was acceptable for boiling. The end result with chopped vegetables that we also prepared was amazing. 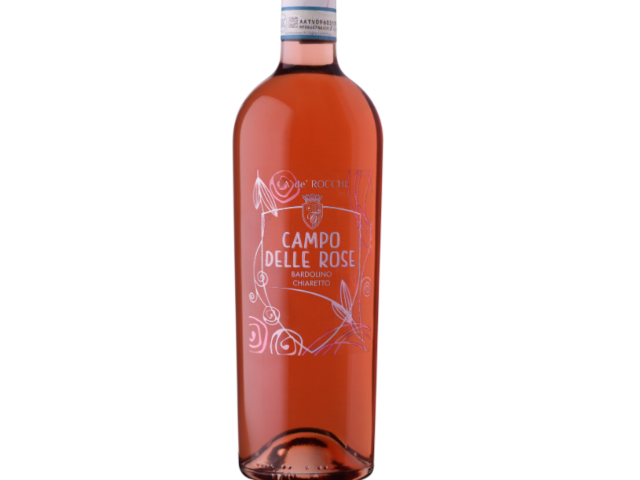 Add a bottle of Tinazzi’s ‘Campo Delle Rose’ Bardolino Chiaretto DOP and you have a meal of a lifetime. The Corvina, Moliara ad Rondiella grapes create a round, fresh and intense flavor that has an extremely long finish. This wine is a must for pasta dishes.